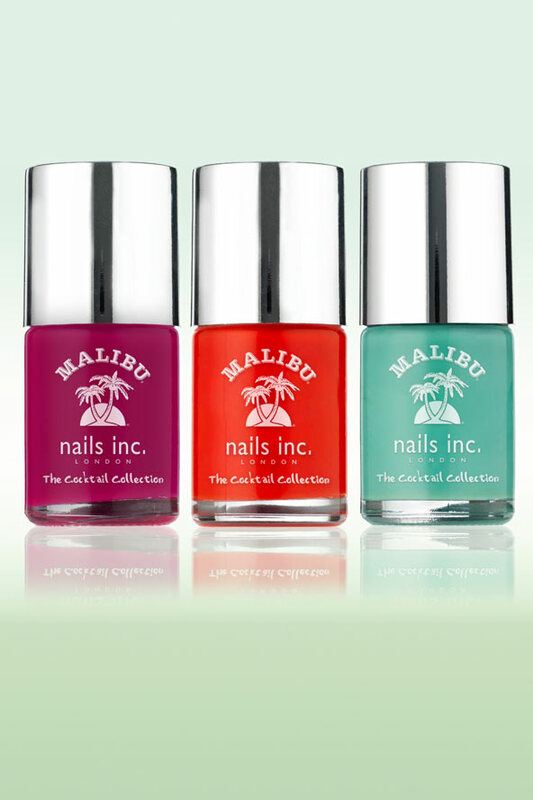 Malibu and Nails Inc have collaborated to combine cocktail hour with pre-party pampering - limited edition nail polishes. To get your hands on these gorgeous orange, purple and teal shades, you'll just have to buy two Malibu drinks in participating bars, nationwide. Cheryl Cole, Jessica Alba and Nicole Scherzinger have all been embracing the clashing bright colour trend of late, wearing clashing orange and purple. Love the light teal one!